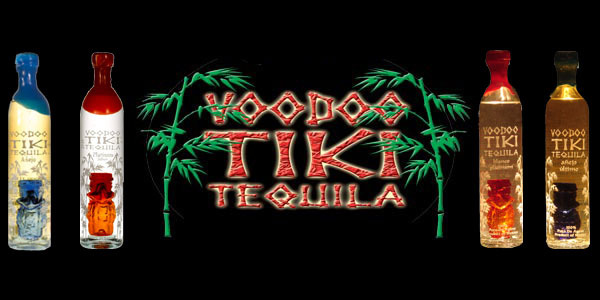 The Voodoo Tiki “Soul Tiki’s” are on the loose. Cases of of Voodoo Tiki Platinum tequila that shipped in Fall 2011 could contain one or more Voodoo Tiki “Soul Tiki” Bottles. 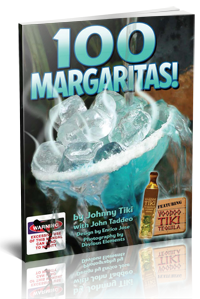 The Soul Tikis are identified by their invisible (Clear) exterior allowing the owner to peer into the soul of the tiki. The result is a tiki with an invisible exterior and a red ghostlike interior – trust us, you’ll know it when you see it in person. Some of these rare bottles could be on your store shelf right now! Voodoo Tiki “Soul Tiki” bottles occur in only 1 in 500 bottles, and only in 2011 will be only be made available in red (Platinum). Grab these rare collectibles while you can because they are currently sold out at our factory. Look for them at your favorite Voodoo Tiki liquor shop. Having trouble locating a Voodoo Tiki “Soul Tiki” bottle? 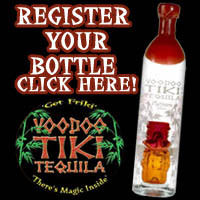 Email Press@VoodooTiki.com and we’ll try to help you locate one (if possible). Are You A Voodoo Tiki Fanatic Looking to Complete Your Coleccion Privada de la Familia Collection? It’s in the Bottle! Video of Voodoo Tiki Bottle Art.